Students learning about erosion and deposition at the stream trailer during Earth Science Week. 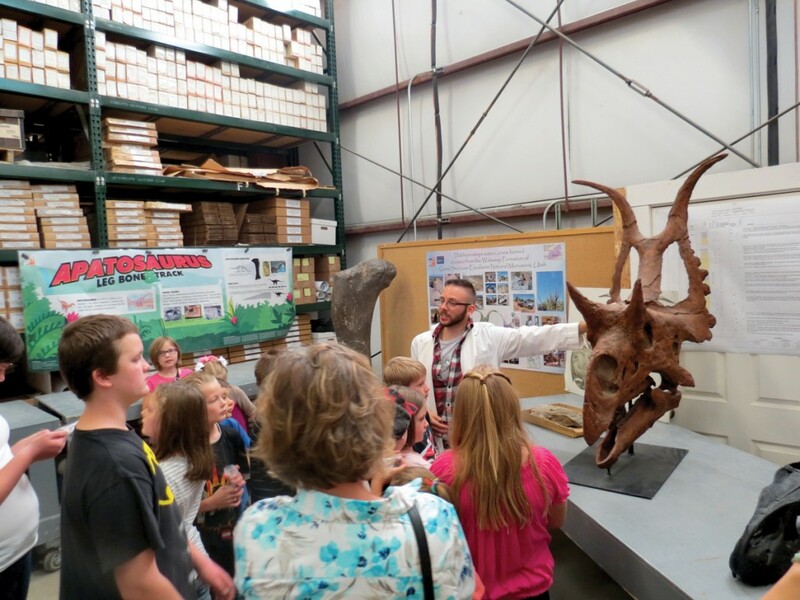 The Utah Geological Survey hosts hands-on activities for school groups (usually 4th graders) to celebrate Earth Science Week* during October. 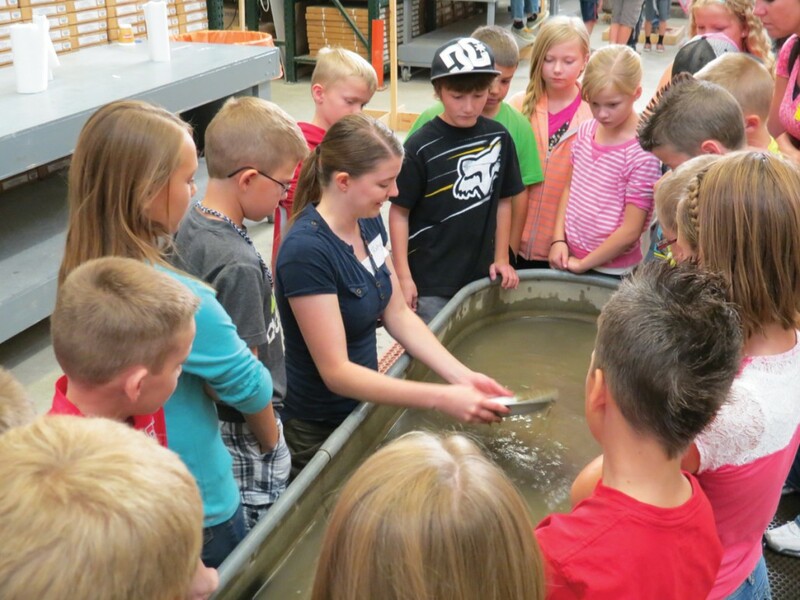 the “gold” panning troughs where they pan for pyrite, magnetite, and other minerals while learning that geology is fun! To make reservations, please contact Jim Davis [jmdavis@utah.gov] at 801-537-3300. * Earth Science Week is celebrated the second full week of October throughout the nation as well as in other countries. 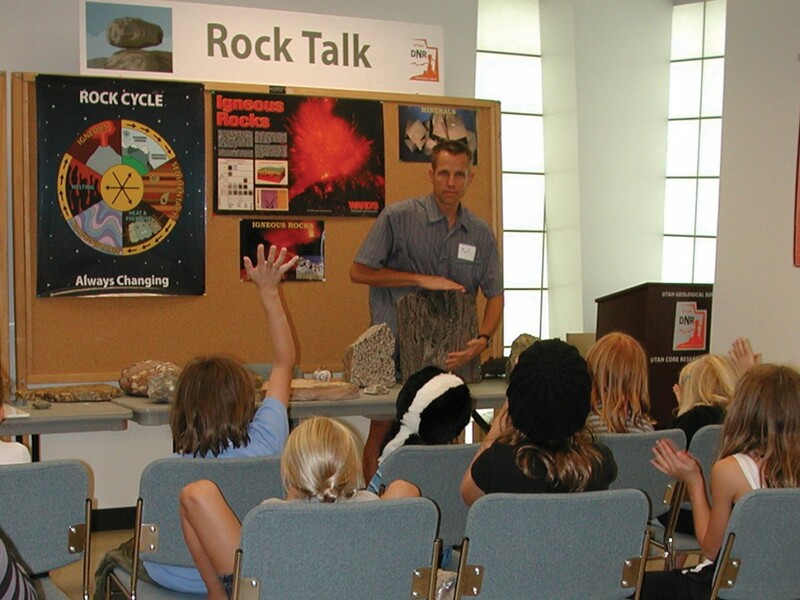 The purpose is to increase public understanding and appreciation of the Earth sciences. 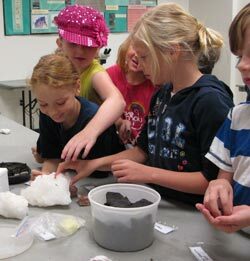 Launched in 1998 by the American Geosciences Institute (AGI), efforts have grown on local, national, and international levels to highlight the vital role Earth sciences play in society’s use of resources and interaction with the environment. 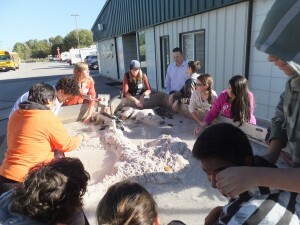 For more information about Earth Science Week, visit the AGI’s website at www.earthsciweek.org.